This information is for students who were accepted in our 2019-20 Lottery. 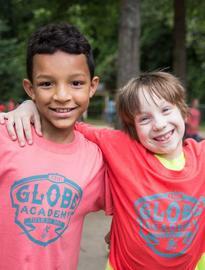 If you are interested in applying to The GLOBE Academy please visit the How to Apply Section of our website. * If parent/guardian is not the homeowner/lessee, they can submit an Affidavit of Residence. Students who used a preference category in the lottery (sibling of enrolled student, child of full-time staff or Board member, or Economically Disadvantaged) must provide additional documentation to support this preference category. Students entering 4th-6th grade must submit documentation from their current school stating that they have been promoted to the next grade level. This documentation can be submitted over the summer. Enrollment in The GLOBE Academy is only guaranteed once and if all required documentation is received by the enrollment deadline. NO EXCEPTIONS.